Very quick edge to edge for making nimble and lightning fast turns. This is the sports car of skis for the skier who loves the thrill of making precise turns particularly on groomed snow. Full camber gives the best tip to tail contact with the snow for increased performance particularly on hard pack snow. 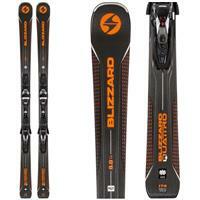 The Blizzard Quattro 8.0 CA is an excellent ski for the intermediate to advanced skier who want an energetic and stable ski on the groomers. The Sandwich Compound Sidewall IQ Construction grips the snow with ease, even when slopes get a little firm or icy. 4mm of Rocker in the tip and tail engage the ski into turns easily, and provides an effortless exit of turns while the camber underfoot adds rebound. 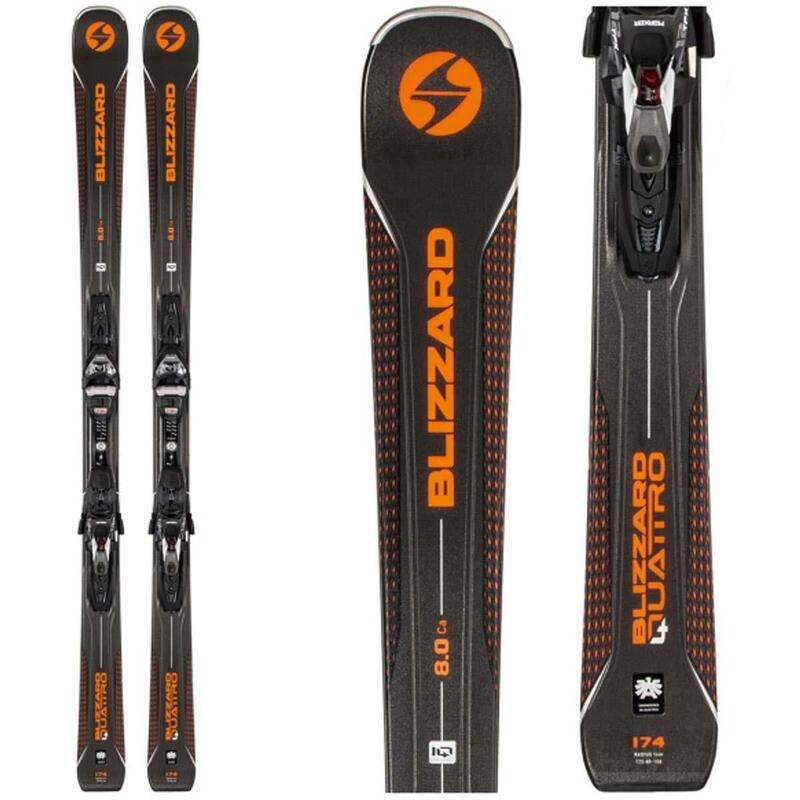 Blizzard's Suspension System has a polyamide structure built into the ski that connects to an elastic dampener that reduces chatter and absorbs vibrations for smooth and stable skiing. The Quattro Concept is built around agility, stability, precision and control to offer you a well-rounded ski that is stable and easy to control. If you are an intermediate looking to grow your skills, or an advanced skier looking for a ski that carves great, without having to put much energy into your skiing, the Blizzard Quattro 8.0 CA is a great ski for you. 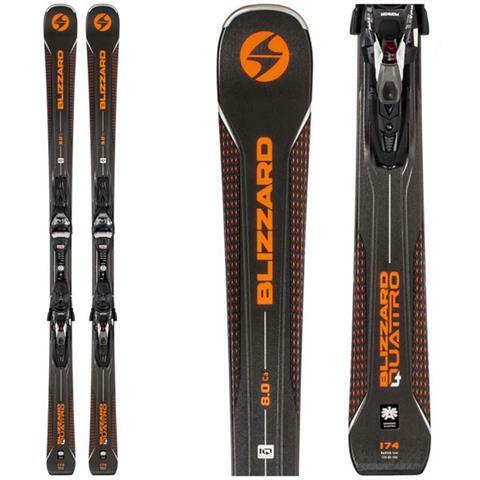 The Blizzard Quattro 8.0 CA is the perfect ski for the intermediate skier who wants to step his game up to the advanced level. Without question the smooth turning radius and moderate flex will help you the skier achieve his goal of conquering the Black Diamond trails like never before.